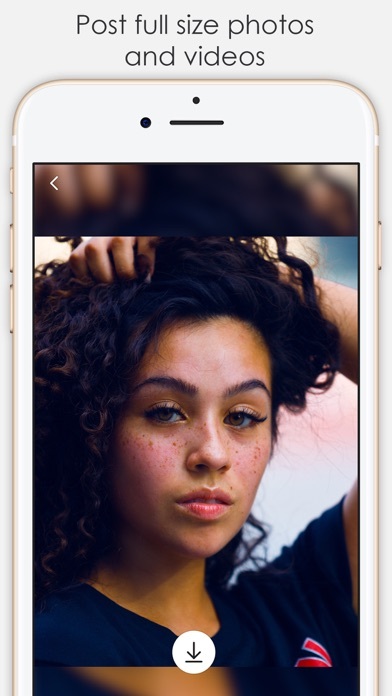 Post any of your images or videos to Instagram Stories regardless of their size and date! Noticed how your Instagram Stories posts always get cropped when you choose photos from your Camera Roll, and often not in the way you’d like them to? 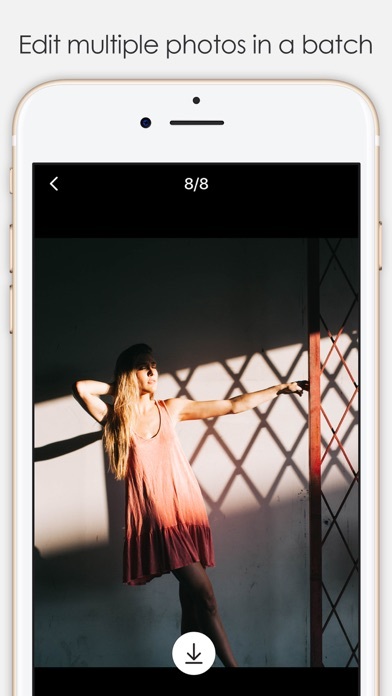 With Resize for Story you can post the whole picture or the original format video without having to rely on the automatic cropping by Instagram! 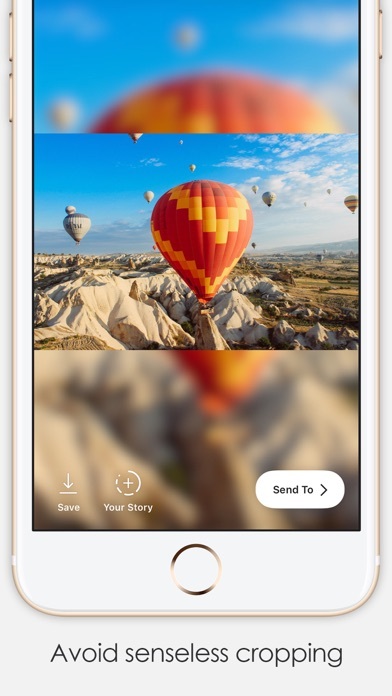 Post full size photos: Resize for Story makes any pictures taken outside of the Instagram app fit perfectly into Story format by adding boarders in different styles: Black, White, Custom Color, Photo, Blur or Pixel. Post full size videos: Don't let the app ruin your landscape videos by cropping them from the centre! Choose one of the border options and share your clips the way they were intended to be. 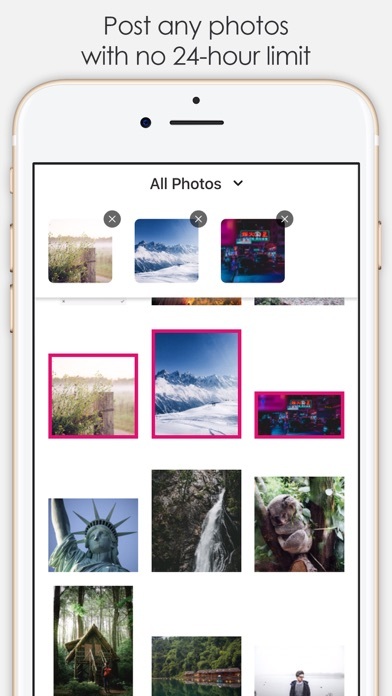 Instantly visible in your Library: The app saves all photos and videos as new to your Camera Roll, so you can share any content right away regardless of when it was taken! Plus, there’s no image quality loss as compared to simply taking a screenshot. 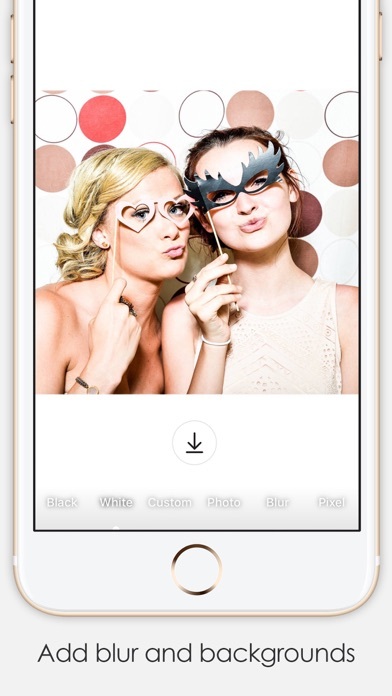 Bulk Upload: Save your time by editing up to 10 photos at once! More great features coming in the updates! If you like the app, please leave us a rating or a review!